We also help you "set the stage", the finishing touches. Don't allow quality buyers to pass by your home because it wasn't ready for market. You provide materials, we provide labor. Additional fix-up hours are negotiable. We also handle most inspection requests. 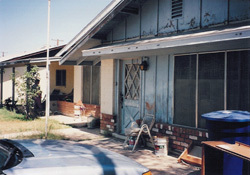 FREE FIX-UP with a listing! House To Home Realty will provide up to five days of free labor to prepare your home for sale that we have a listing agreement with. The homeowner is responsible for the cost of any materials such as paint, new light fixtures, faucets, shingles, or anything else required for the home. The labor is free of charge. If the home requires more then 5 full days of work then additional hours are negotiable. My home is ready for market! We pass the savings back to you if your home doesn't require much attention. We will provide you with full-service treatment at a discounted fee of 5%. 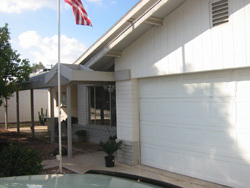 Most of the time we will take care of negotiated items on the home inspection repair request for free as well. Bottom line is that we want your business! Selling one home and buying another? If you are moving across town we will list your home for a discount if you agree to buy your next home using our services. We will provide full service in selling your home for 1% provided we collect the buyer's agent fee from the seller of your new house (totaling not less then 3% of the home we sold). If you mainly just want MLS exposure for your home, we can provide that for 1% plus any fee you offer to a buyer's representative. We will be there when you need us to assist through out the deal as well. The main difference would be in the amount of advertising and open house showings. Want to go it yourself? Let us provide you with a professional looking sign, post, flyer, and website access. For $295 we will get your home on the market. We will also take down the sign when sold (sign, post, and flyer box are rented). Want an offer today - (as-is)? If you simply want to cash out of your home and move on, we will make you an as-is offer you can either accept or reject that day.